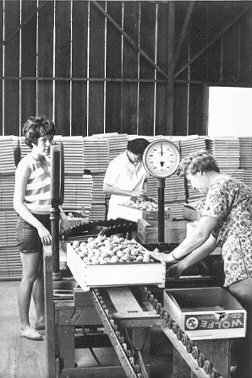 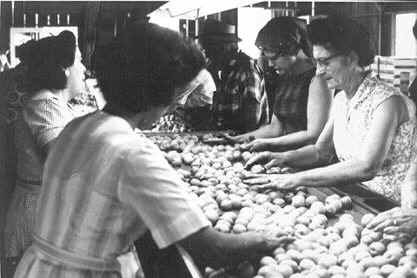 Lynn Wolfe began packing apricots in this packing shed in 1956. 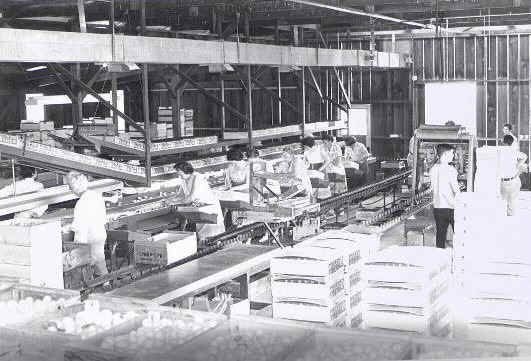 The Wolfe Packing Shed in 1956. 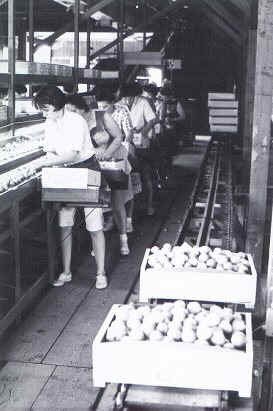 Sorters remove the damaged apricots.